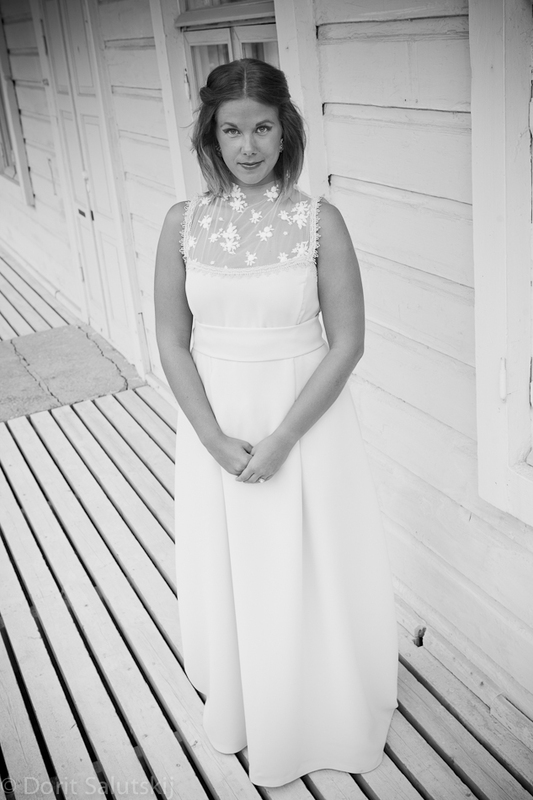 Now you have met two out of five of my wedding dresses Lucy lace and Erin which I have designed and made. 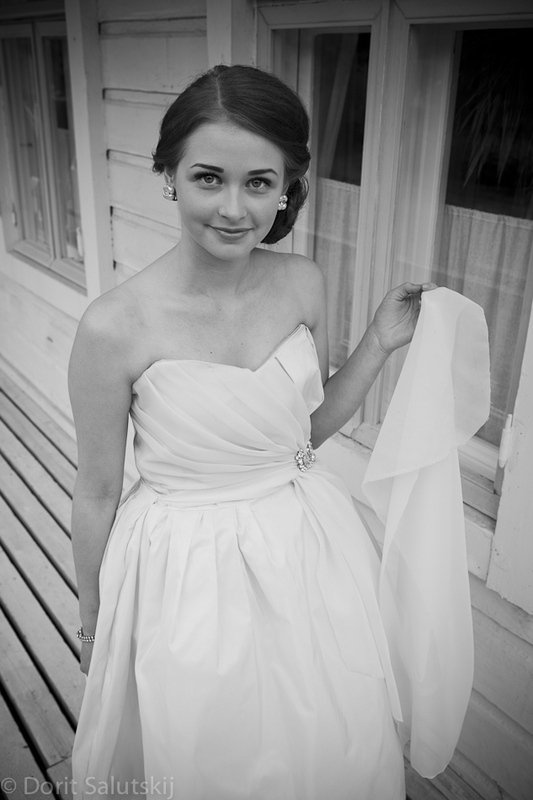 This third wedding dress ISLA got a start from two separate pieces of white satin. I found pieces from one of those fabric boxes from Eurokangas. I guess there was less than two meters of material but it was enough for this dress. 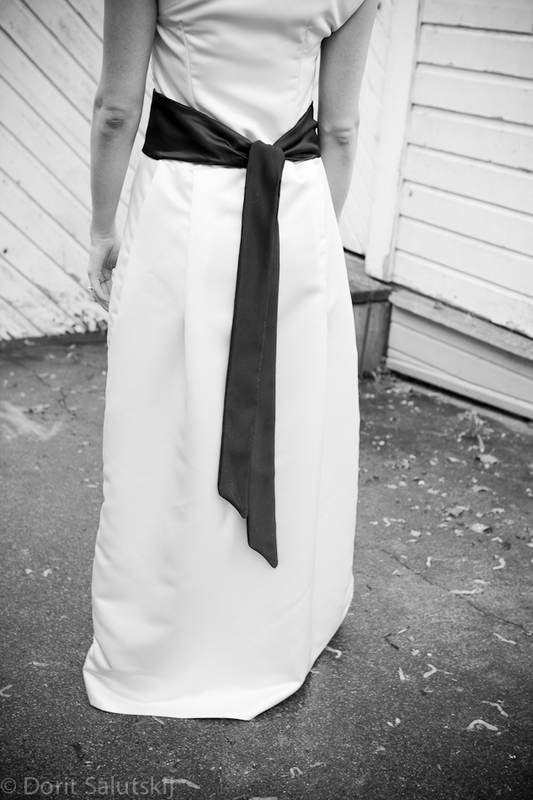 Because I wanted to do a one shoulder wedding dress. I got a model for this Isla dress just five days before our photo shoots. Thank you so much Iina for doing it for me. 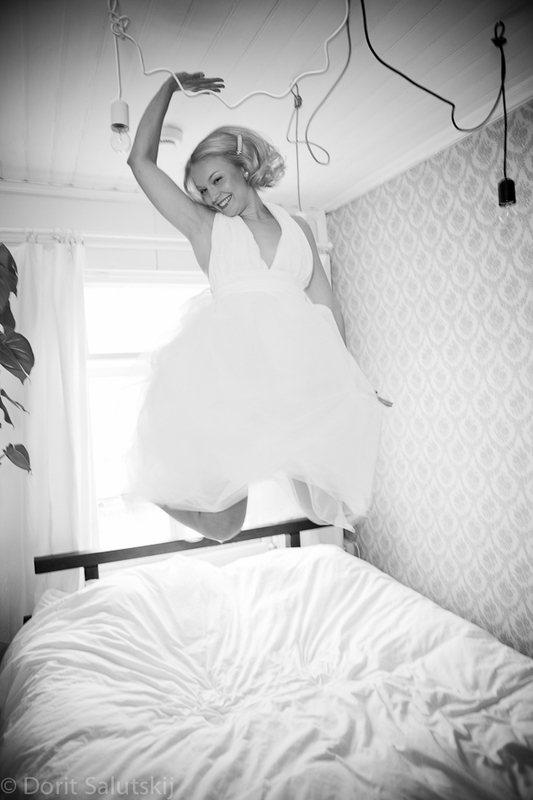 You´ll find the story and some pictures from my first wedding dress from here. 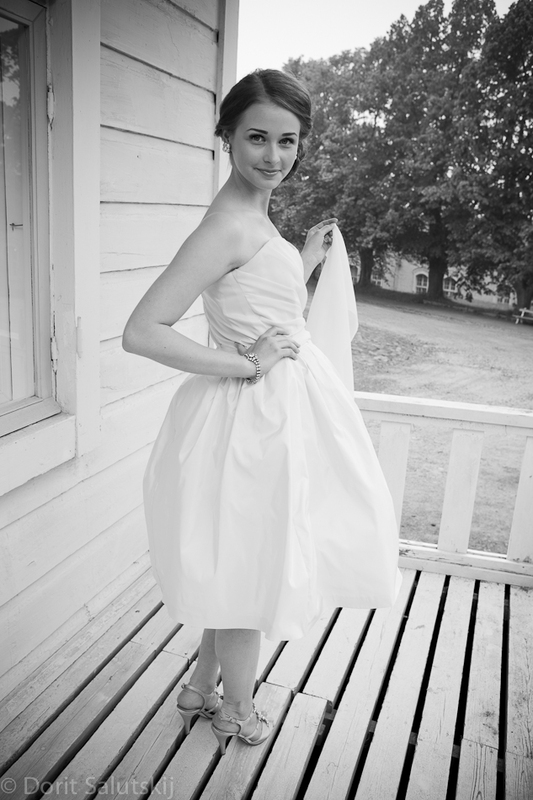 But now It´s time to continue with the story and present to you my second wedding dress and the wife number two. 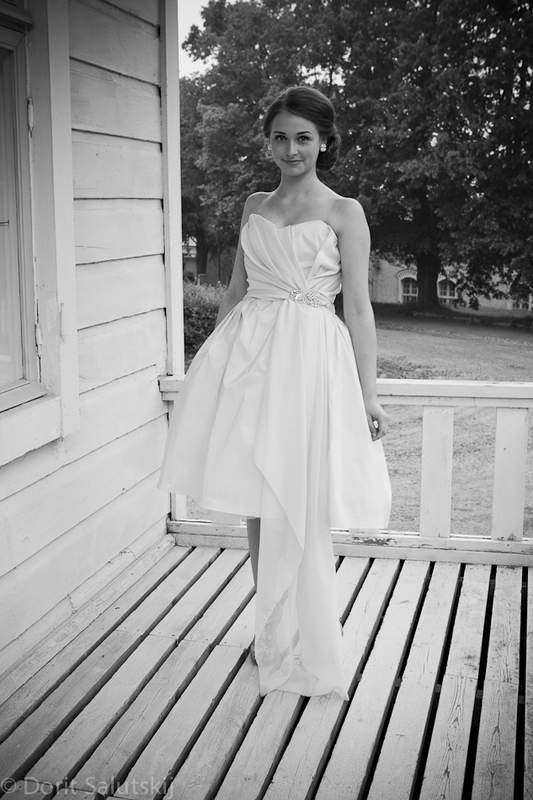 I started doing this second wedding dress for a model called Laura. 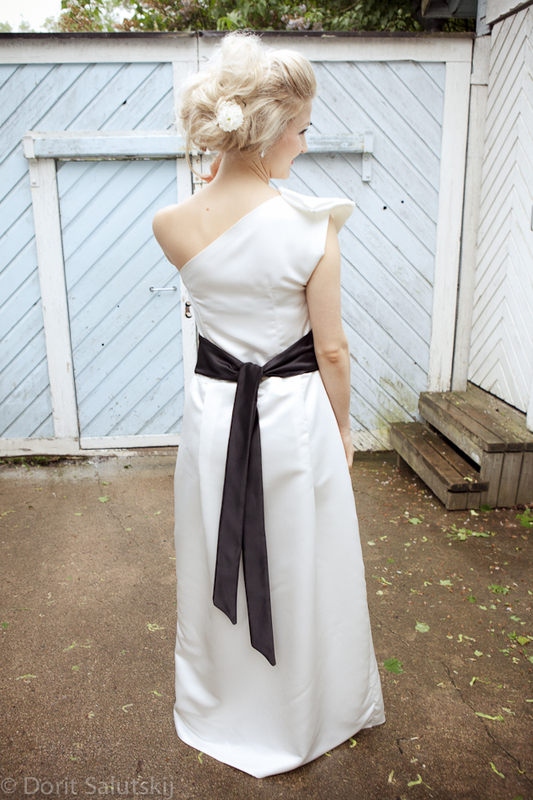 I did all the fittings with Laura but after sewing the zipper dress got too small for Laura. My amateur seamstress mistake 🙂 Luckily I had this young girl Emilia who was able to fit in to that tiny dress. And thank God It fitted perfectly for Emilia. 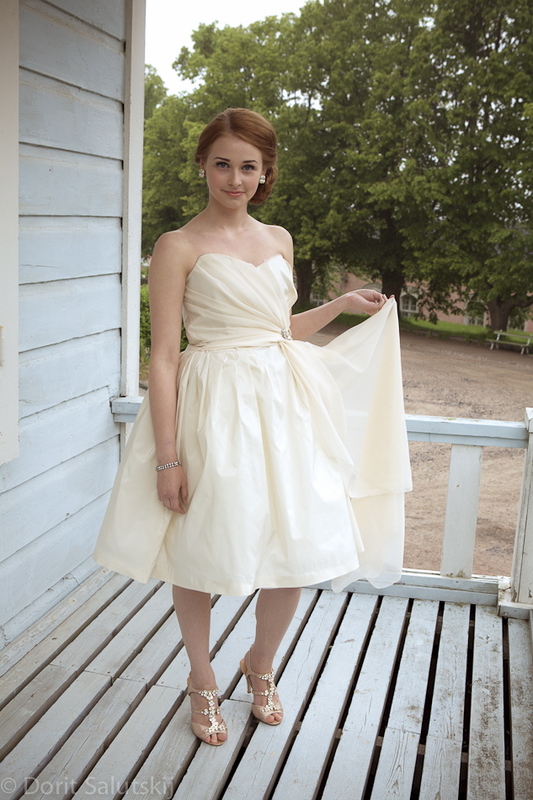 I used two meters taffeta and some chiffon to this dress and of course lots of tulle. I found all the materials from the fabric store Eurokangas. 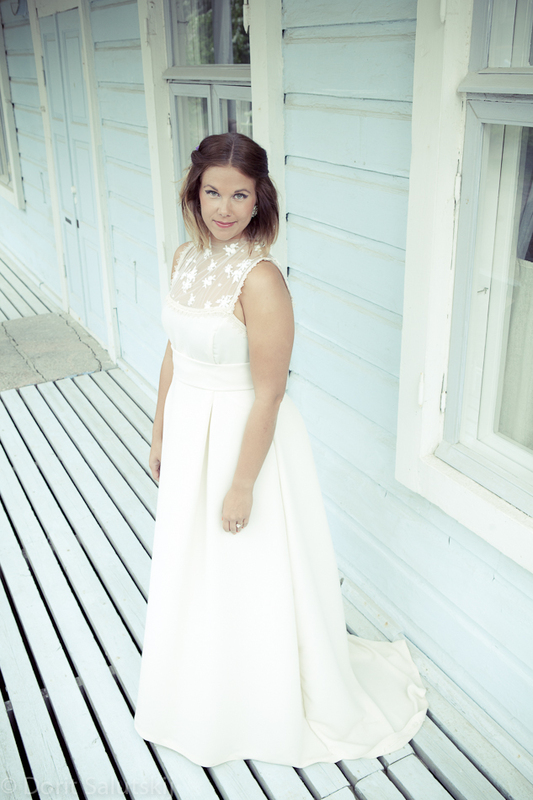 I went trough many ideas how to decorate this dress. But I ended up using three brooches. They had that right kind of bling bling for this dress.